Grosgrain Ribbon 2.25" & 1.5"
Purple and White Chevron layered on Black is a great new color mixture for your next bow. 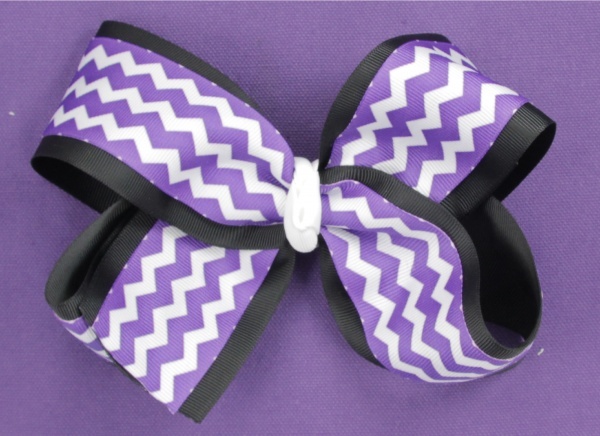 This bow is good for school spirit days, cheer competitions or just your favorite match to a chevron outfit! The bottom is a 2.25" black grosgrain ribbon layered with a 1.5" purple and white chevron ribbon. The center is in a white French knot and the bow is on a French clip ready to go.